Taking medicine isn’t always easy – especially when it needs to be taken every day for an extended period of time. Non-compliance with taking medicine can also cause a great deal of stress for parents, especially when it’s the one thing keeping the patient from being discharged. One of my patients was having a hard time with this task so to make things a bit more tolerable, we decorated her medicine cups. This patient really wanted it to be grape flavor however we couldn’t give her that option for this particular medication. 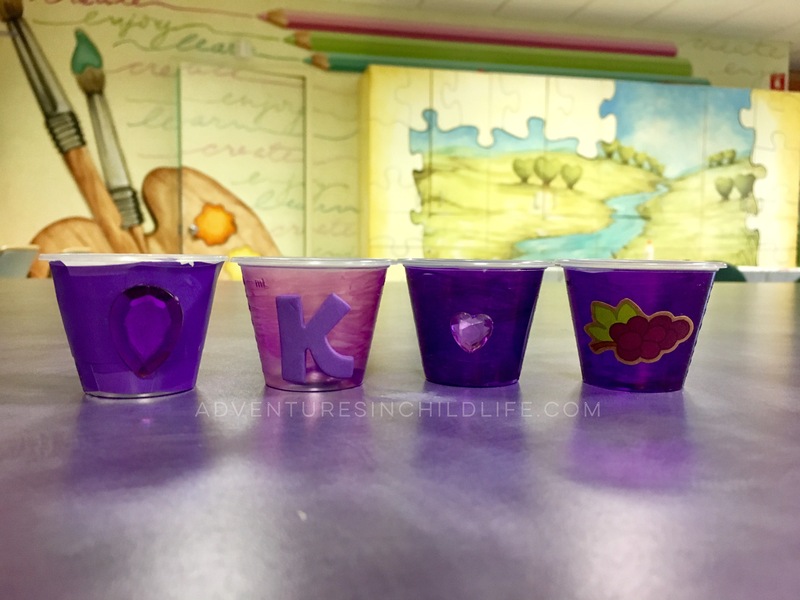 To try and fix her grape craving, we stuck with the grape theme for her medicine cups. The medicine is still unpleasant, but creating these cups & giving her choices made the whole process a little more tolerable. What are some ways you help patients be compliant with taking their meds? Do you have anymore advice on getting a child to take medicine?